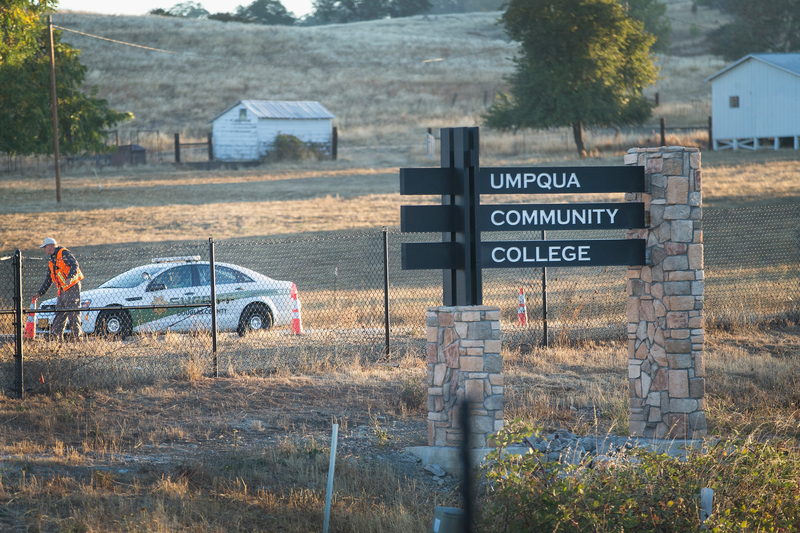 Authorities on Friday released the names of all nine victims killed in the senseless shooting at Umpqua Community College. The attack has devastated the small community in Roseburg, Ore., and the entire country is remembering the lives of those lost. One victim, Kim Saltmarsh Dietz, was a caretaker at Pyrenees Vineyard & Cellars and reportedly attended UCC with her daughter. She was 59. Dietz's husband, Eric Dietz, confirmed the news via Facebook, posting, "It is with deep grief in my heart that I must announce that Kim was one of the people killed yesterday at UCC." According to ABC News, the victim's mother-in-law, Carolyn Whitehorn, said her granddaughter (Dietz's daughter) also attended UCC but was at a different location on campus at the time of the shooting. Dietz's daughter was not hurt. The Pyrenees family is heartbroken to confirm that our friend Kim Dietz was one of the victims of yesterday’s senseless UCC shooting. ... None of us at Pyrenees can make sense of this horrific tragedy. We appreciate your respecting the Dietz family’s privacy in this time of immense sorrow. In these times we must come together, lean on family, and never forget God's love. A memorial fund in honor of Dietz has been set up by Pyrenees to help the family pay for funeral services. President Obama has ordered flags at all public institutions be flown at half-staff until Tuesday night out of respect for the UCC victims. Our thoughts are with the Dietz family and friends.